Interesting the three beers canned by Newburyport Brewing are a Pale Ale, an IPA and a Belgian White. Plum Island is the Belgian White and while it is a nice beer I judge all Belgian Whites against Allagash White which is hard to beat. Nice looking beer with a slightly cloudy pale orange color and two finger white head. Aroma is what you would expect with some coriander, spice and Belgian yeast. Taste is solid with some nice peppery spice, a bit of clove and banana. 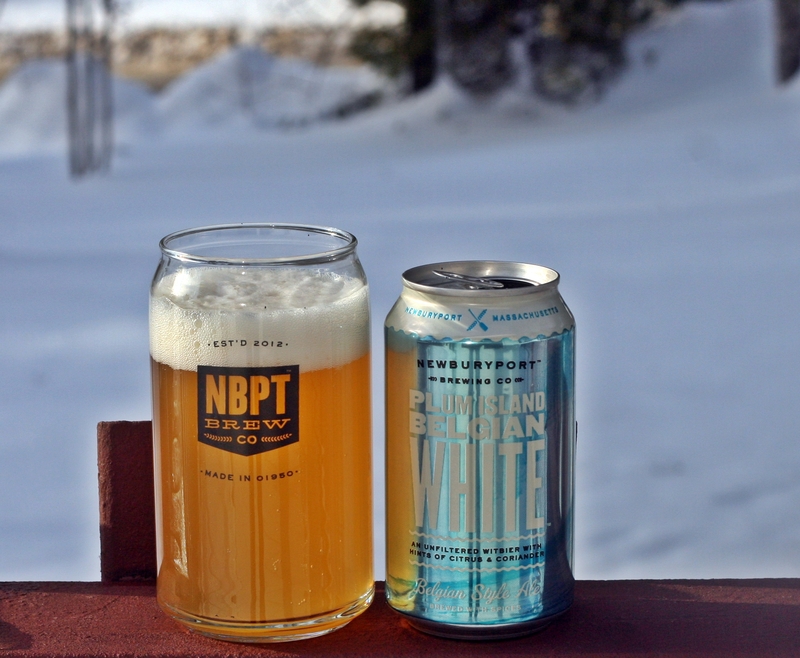 No question this is a solid second offering from Newburyport Brewing but it does not stand up to Allagash White which is the standard I compare all witbiers to. Brewers Description: An unfiltered witbier with hints of citrus & coriander. This “partly cloudy” ale features slight citrus and spicy aromas complemented by mild sweet pilsner and wheat malt tastes. Our friends in Belgium would be proud of us.